Sue and I planned on a long ride. 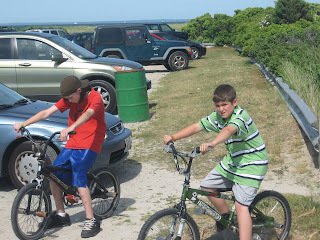 We tossed around a few places like Newport, R.I., Tiverton/Litle Compton R.I., Dartmouth and Westport Ma. By the time we got all the things done around the house, a shorter local ride fit the bill. 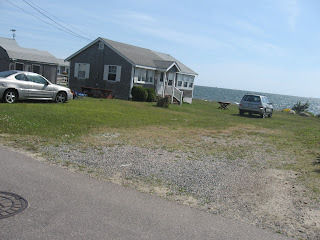 West Island is located at the southern most tip of Sconticut Neck Road in Fairhaven, MA. 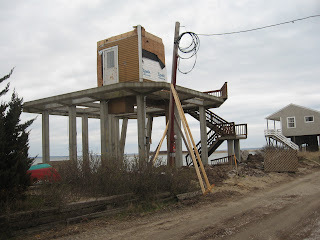 "The Neck" road is roughly six miles and ends at Wilbur's Point, a peninsula where the houses have to be built on stilts with break away walls if they are built at ground level. This allow the ocean to pass under and through the stilted foundation when the flooding to exceptional high tides arrive. On the loop back from the Point o Causway Rd. to West Island. 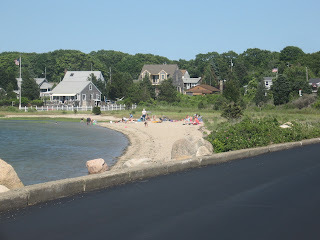 The newly paved road traverses the small beach area and the island off the island. 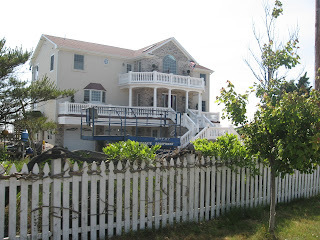 There is some speculation that a very high profile movie star put an offer on the island. Just speculation, but there are however, quite a number of famous families in the area because of the seclusion and small town atmosphere. The helicopters are the give away to where they are living. West Island has a variety of homes, both seasonal and year round. Small ones, and oversized gawd awful ones. 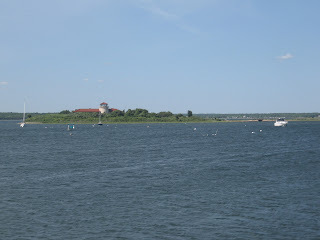 The town beach is right at the end of West Island. There is an old WWII navy convoy tower still on the beach. This is a five or six story concrete monolith looking thing that was used to spot and organize convoys. As far as the local teens know, it the big cement thing on the beach. Lots of bikes on the roads, and paths. 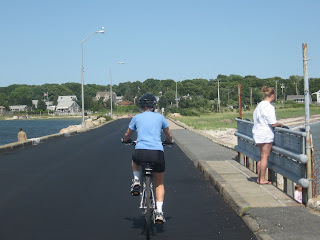 Tomorrow however, the commuters will again be the lone biker on them. That looks like a fun ride. I've been noticing a lot of ridiculously huge houses around here, too. I simply can't imagine what someone would do with all that space. I didn't get to ride much over the weekend, as we got a lot of rain. It doesn't look like it'll be letting up much in the next few days, either. Hey.. I am a blogger too and I happened upon your site! I loved your comment about the nice small houses and the god awful huge ones. 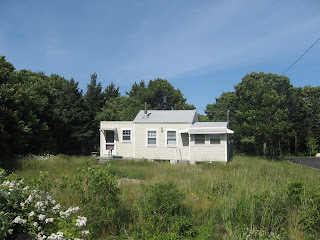 The picture of the small house...(With the hatchback in the yard)...is my family house! I've been going to West Island since I was born...as has my mother. It has been in our family for more than 60 years and I wish it would remain the quite little town. We love the simple beauty and aren't too crazy about the Mc'Mansions going up. Thanks for noticing the simple things! Thanks for the beautiful photos of West Island. My grandfather's friend owned a house there, and I grew up visiting him often - riding bikes around the island and swimming at the rocky beach. 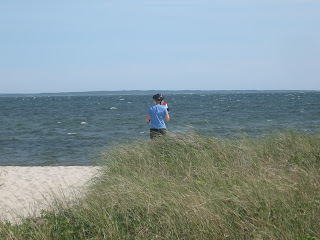 Your blog brought back happy memories!